S I M P L E, U N D E R S T A T E D C O O K I N G. Good straightforward fare, the sort of thing that you might do at the weekend. 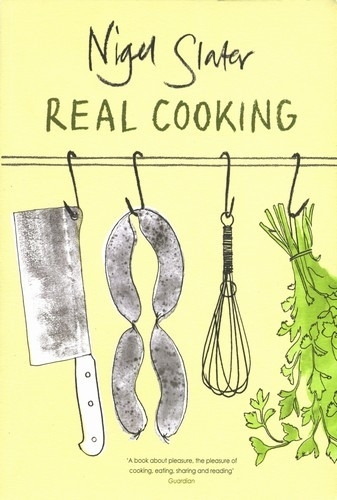 A good book for those who like to do some proper cooking without getting too ‘cheffy’ about it. Lots of delightfully retro pictures and some cracking recipes. Everyone seems to love the lamb and haricot bean casserole and the crumbles. "The sort of book you`ll get lovingly smeared with fingerprints and drops of oil."